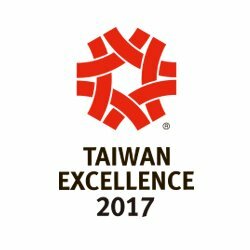 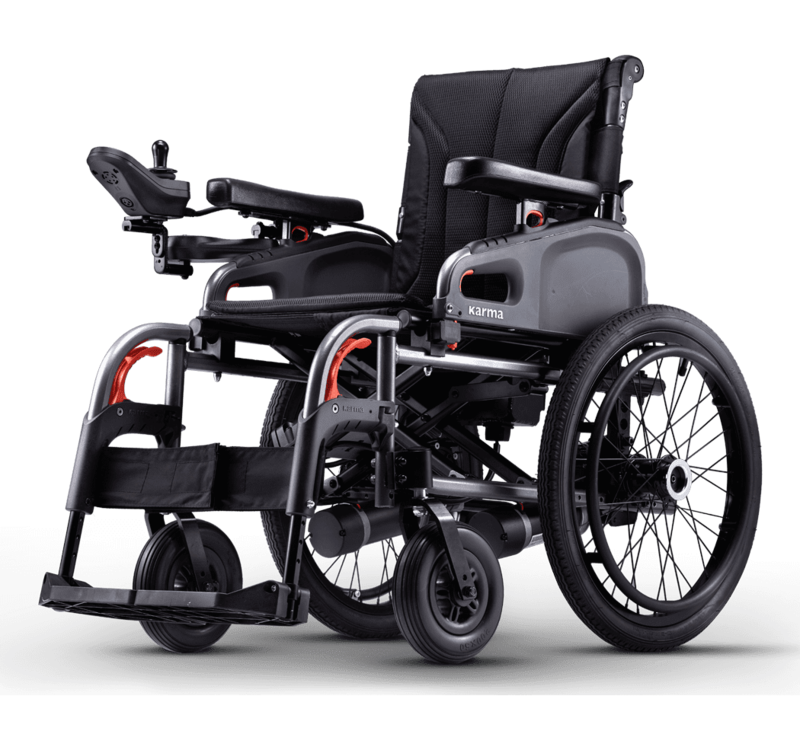 eFlexx – Folding power wheelchair – Travel freely and lightly! 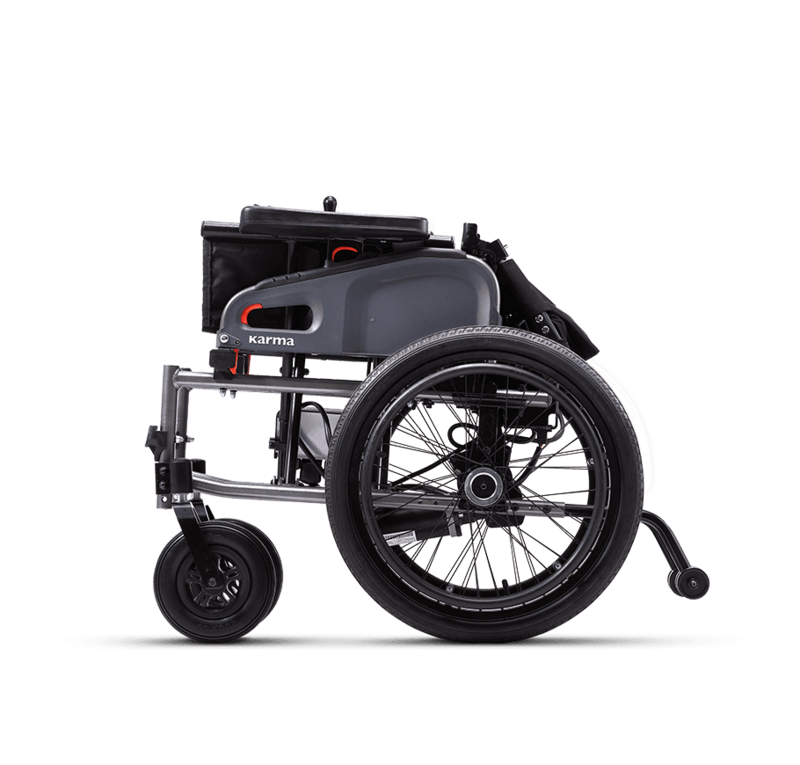 The eFlexx (EFL) is a foldable power wheelchair that can fit into the trunk of a sedan. 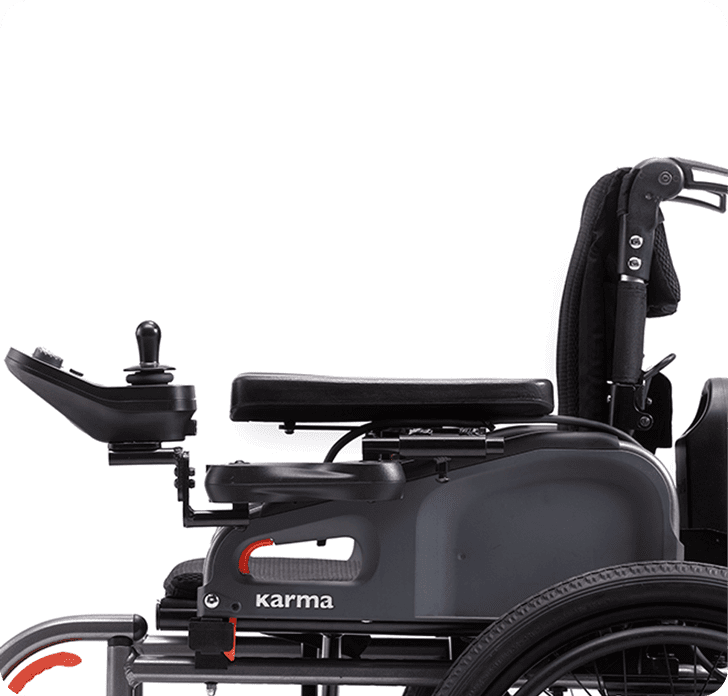 This power chair is ideal for users who live in an area where wheelchair accessible transportation is not readily available. 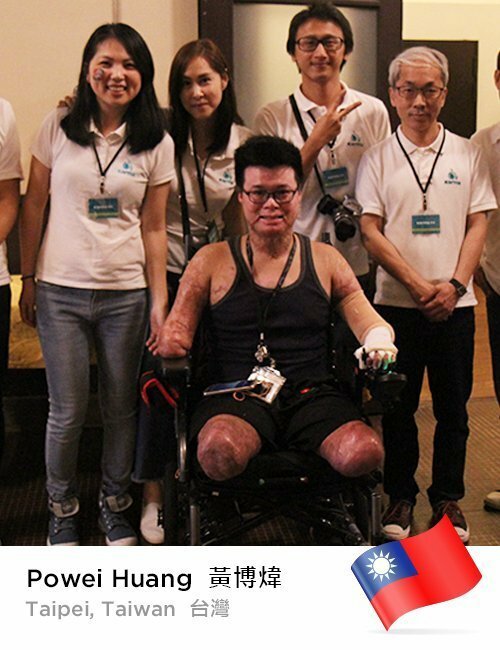 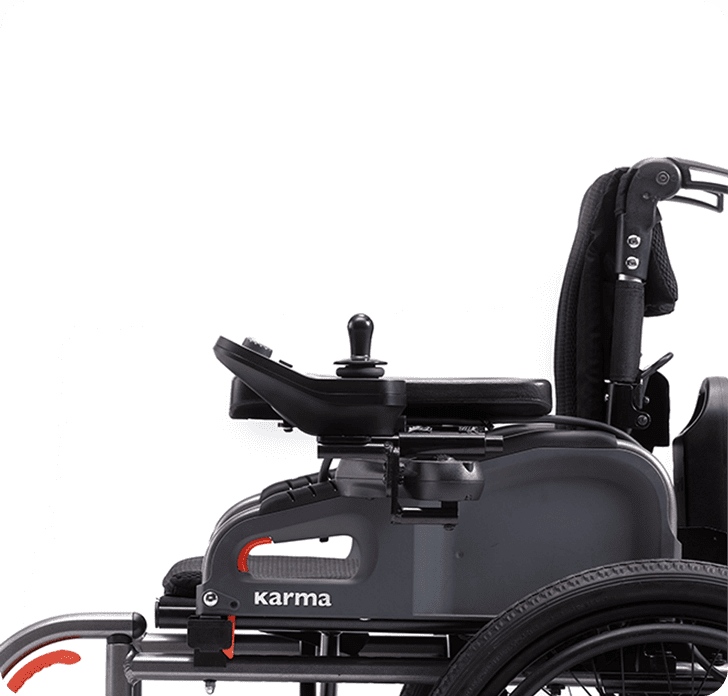 The battery is in compliance with UN38.3 regulation, which makes it the perfect power chair for travel overseas. 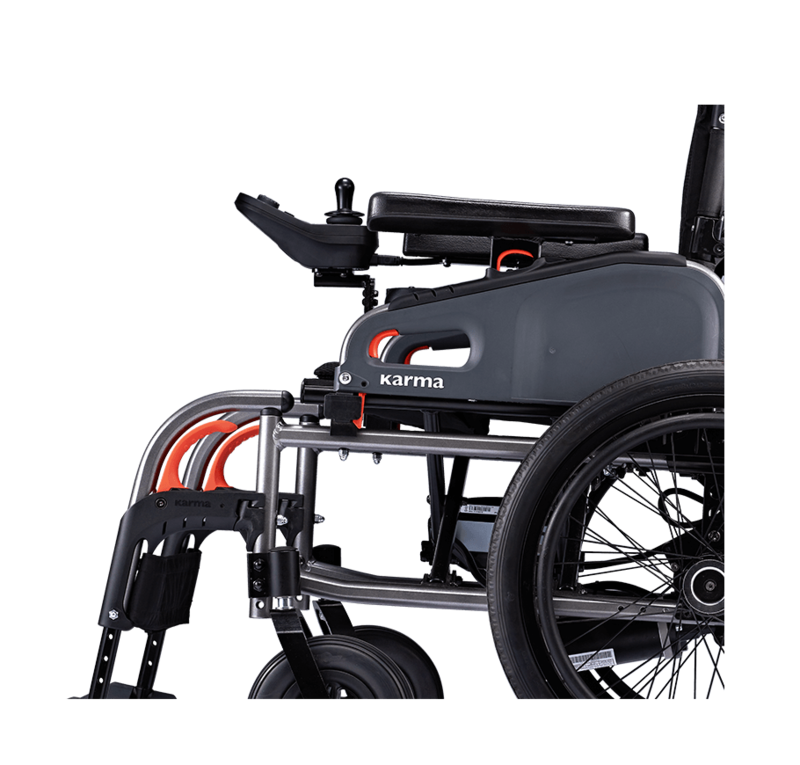 With the lithum battery and legrests removed, the eFlexx is as compact as a luggage. 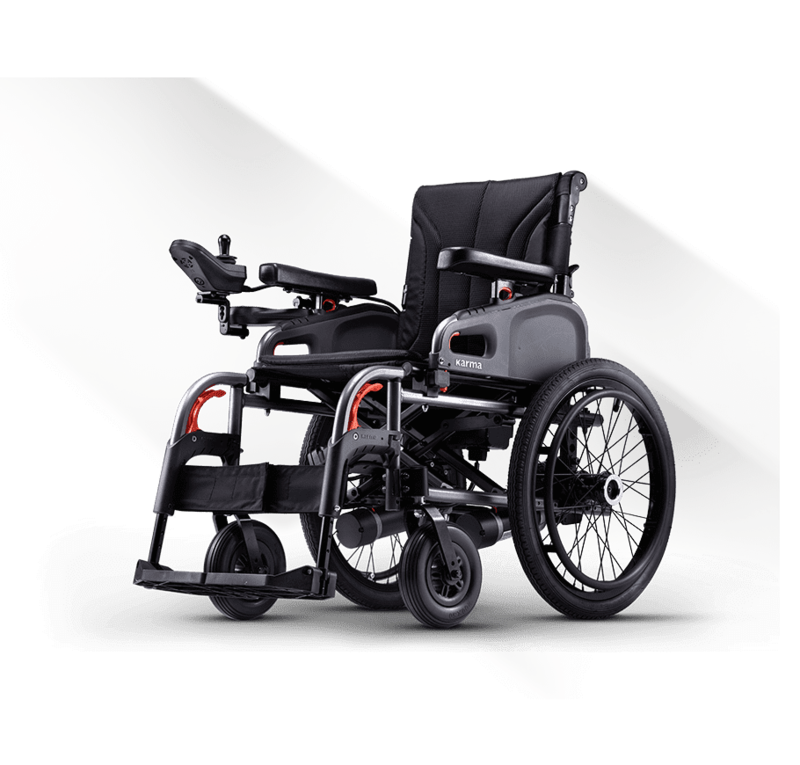 The total weight, including the 14 inch rear wheels and without the battery, is only 29 kg. 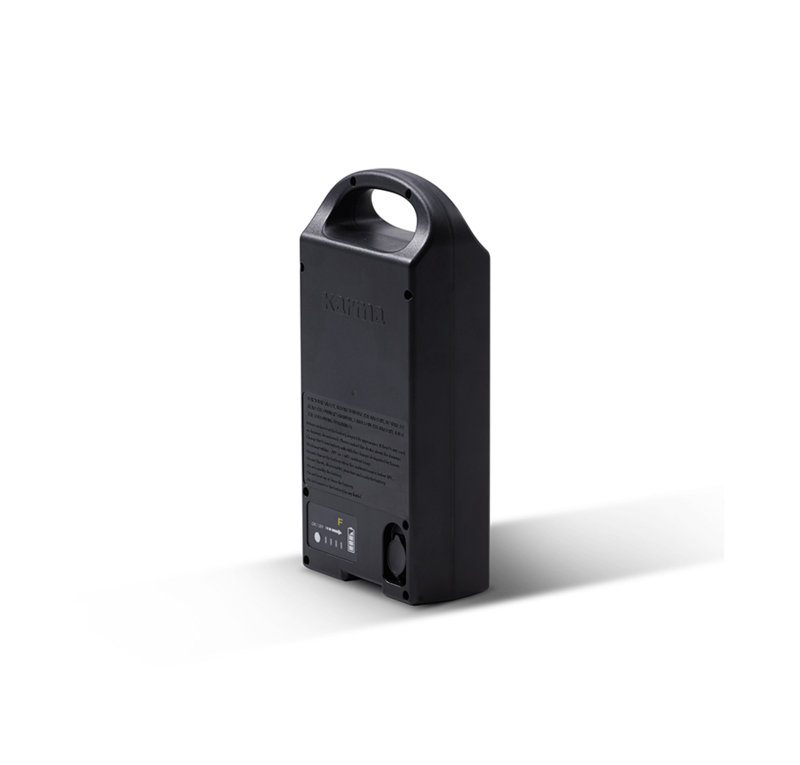 Standard: 26.1 Ah (657.7Wh) lithium battery provides 25 km driving range. 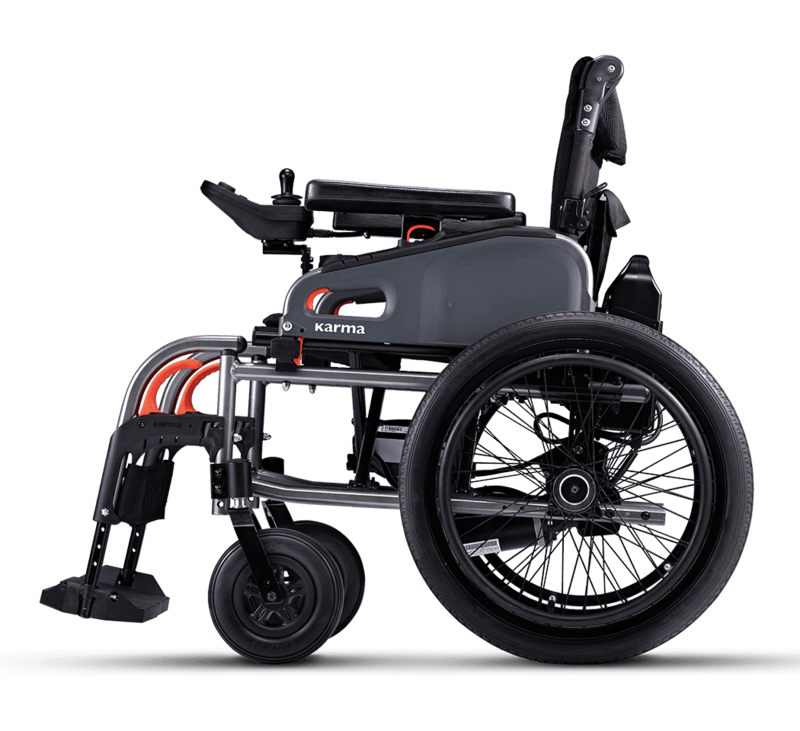 Optional: 11.5 Ah (290Wh) lithium battery offers 10 km driving range and is in compliance with IATA regulation. 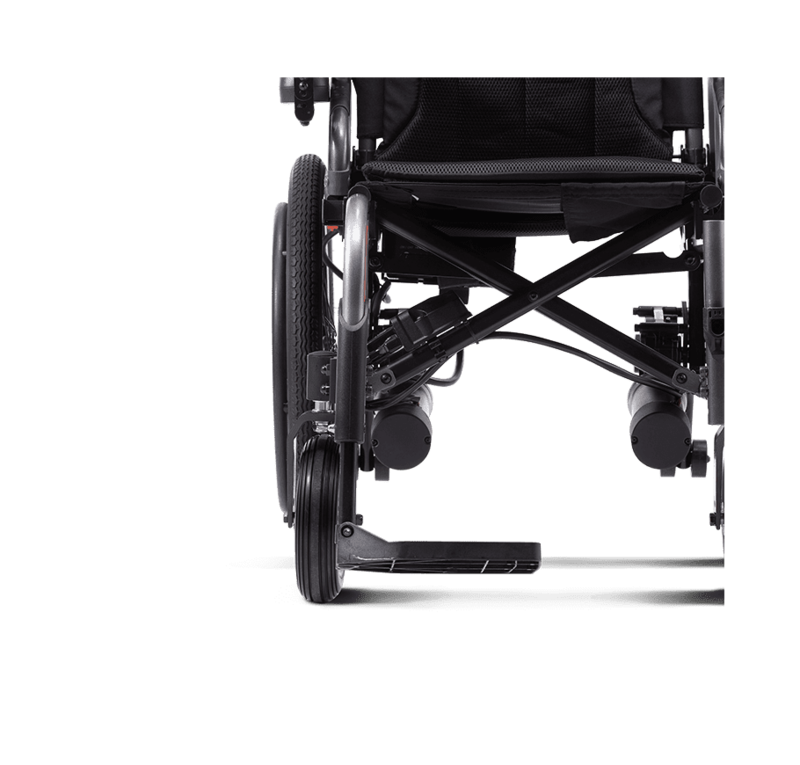 The sturdy double crossbrace provides extra stability. 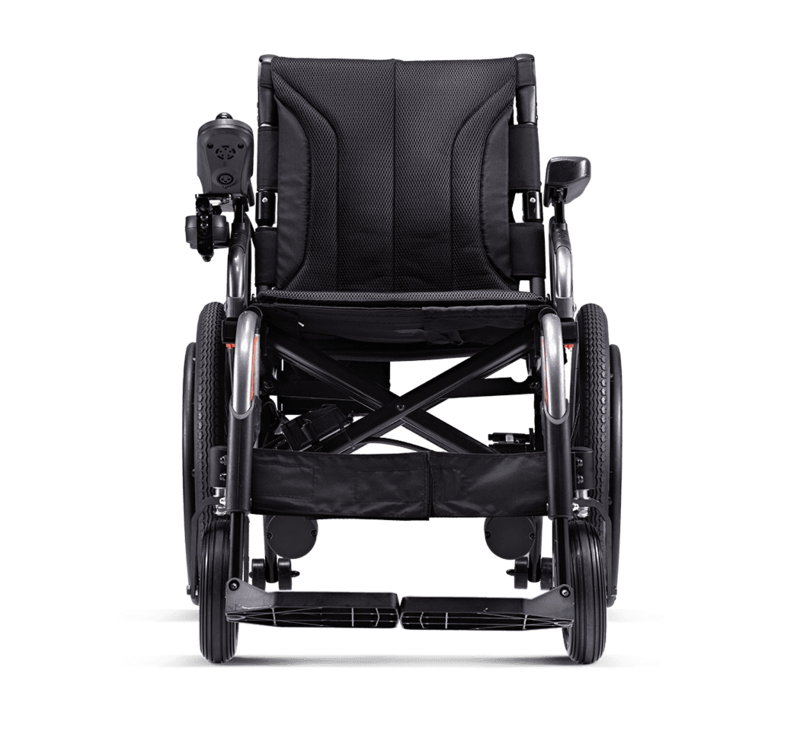 eFlexx is approved for transportation in accordance with ISO 7176-19, which means it is suitable to be used as a seat in a motor vehicle for transportation. 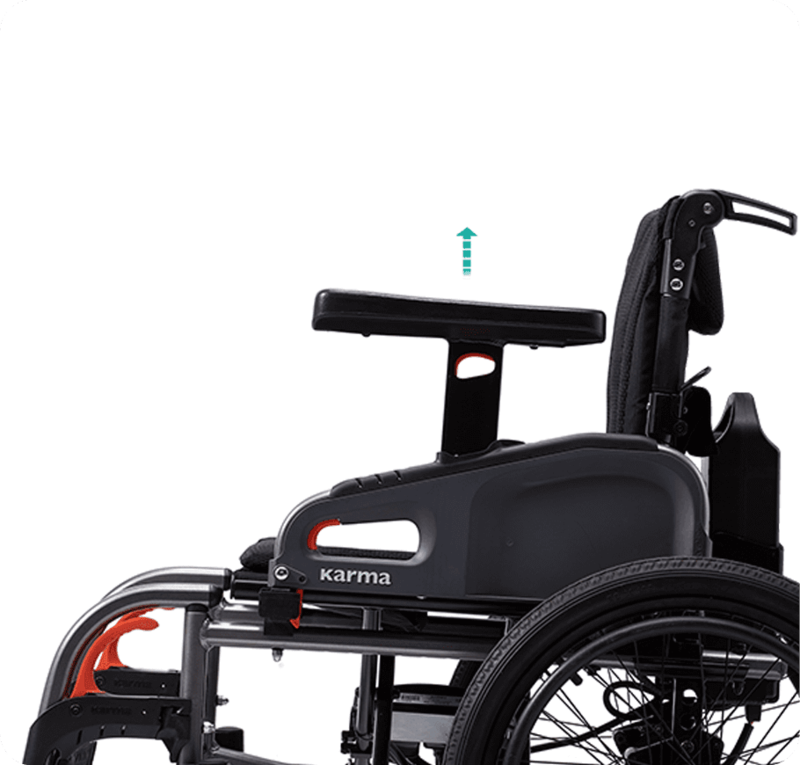 Makes it easy to get in and out the wheelchair or roll closer to a table or desk. 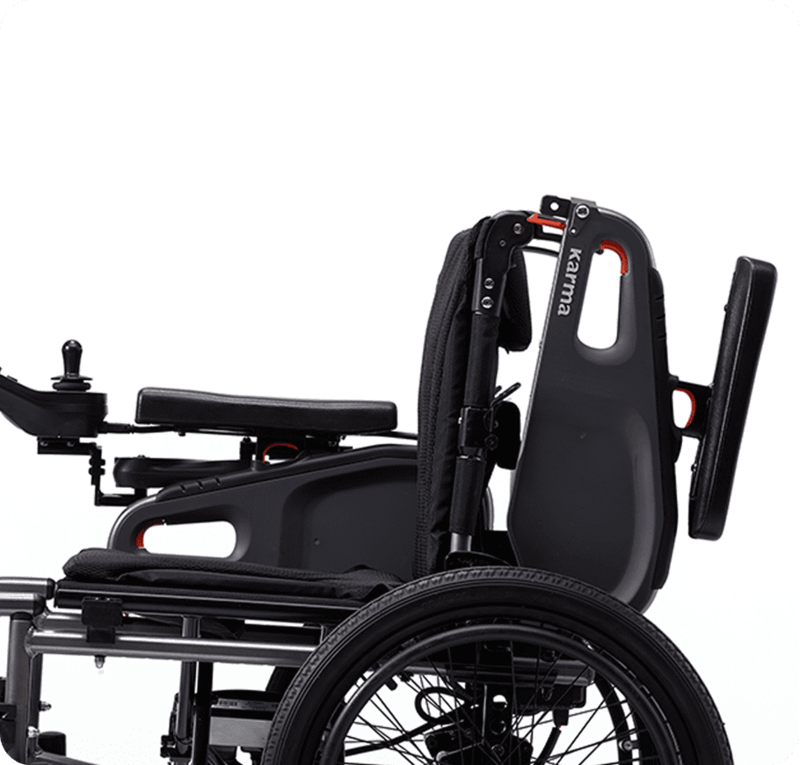 The armrest height is adjustable from 23 cm to 29 cm. 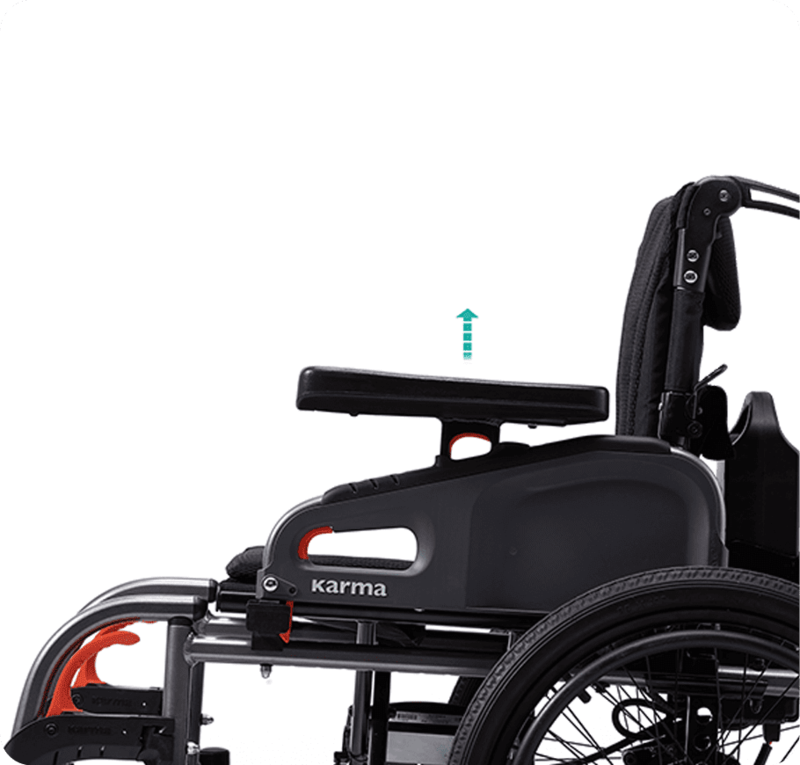 Allow for easy transfer in and out the wheelchair and detach with no tools required. 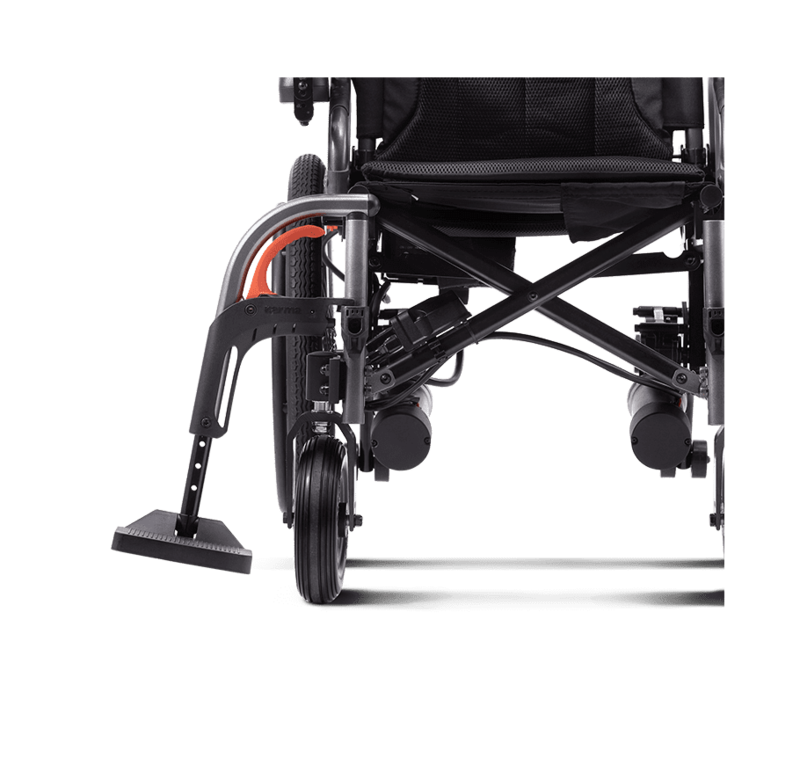 The footplate height is adjustable from 39 cm to 51 cm.